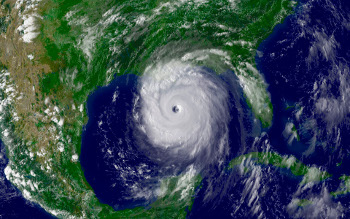 The National Oceanic and Atmospheric Administration (NOAA) recently issued its annual report on the damage caused by natural disasters during the past year. Not surprisingly, 2017 holds the unwelcome record of being the most damaging year since NOAA began tracking these statistics. Sixteen natural disasters during 2017 each caused more than $1 billion in damage, and account collectively for a total of $306.2 in losses. While this statistic is staggering enough, it does not account for the destruction caused by smaller, but still powerful, natural events. In the wake of the NOAA report, however, came news from the National Institute of Building Sciences (NIBS), a non-governmental, non-profit organization, mandated by Congress to identify problems that hamper the construction of safe structures in the United States. NIBS reported, through its mitigation council, that for every dollar spent on mitigation efforts, six dollars could be saved. These findings were a follow-up to the widely cited benefit-cost ratio of four to one in a comparable study more than a decade ago. For their most recent study, NIBS reviewed the outcomes of 23 years of mitigation grants funded by FEMA, HUD, and the US Economic Development Administration. Additionally, the NIBS data showed that for every $1 spend on new construction exceeding the requirements of the International Code Council’s 2015 International Codes, $4 can be saved in future disaster-related costs. The overriding message of the NIBS report is that investing in more resilient construction will yield future financial benefits. To support more resilient building design and construction, the EPDM Roofing Administration provides on this website specific information about the attributes of EPDM that make it uniquely valuable in attaining resilience in a structure. In addition, to add context to the information about EPDM products, this website provides a clearinghouse of sources about resilience, as well as an up-to-date roster of recent articles, statements of professional organizations and other pertinent information about resilience. To quote the NIBS report, “Mitigation represents a sound financial investment.” ERA is committed to helping the roofing industry use EPDM products to make sound investments in resilience.